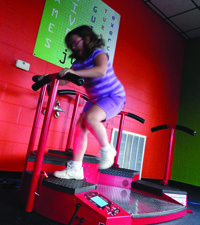 The Rye Y’s New Interactive Fitness studio for youth, adults and families! 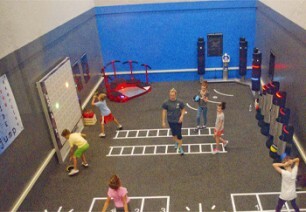 The ExerZone is for children ages 5-10 with an adult and ages 11 & up on own. T-Wall: Whether training for power, agility, endurance, flexibility, or reaction, T-wall tests your personal limits and provides cardio benefits. 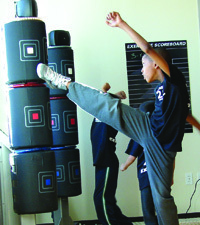 3 Kick: For kick boxers and those that just want to have fun competing with friends while exercising the full body. 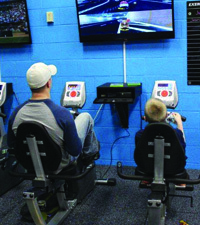 Exerbike GS: Our “pedal-to-play” stationary bike keeps users moving and coming back for more. 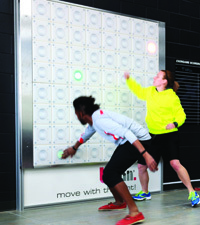 PaviGym: Individuals and groups will discover unlimited structured exercises with sequenced and vibrant lighting and cues. Heavy Ball: Using medicine balls of various weights, individuals of all fitness levels will enjoy a fun and unique workout. 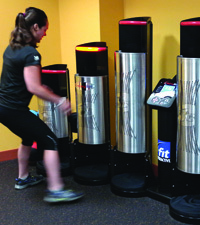 Jump Q: Designed to provide an incredible lower body workout, it also increases a users’ reaction time. New! ExerDrop: Children ages 5 to 10 can be dropped off for one hour on Wednesdays between 4:30 and 6:30 pm. This is a great opportunity for your child/children to have FUN in the ExerZone, under the supervision of our Family Activity Leaders. At the same time, enjoy your own physical activity, or watch your other children taking swim lessons or a sports class. Children under the age of 5 can enjoy playtime in Child Watch. Click here for details. 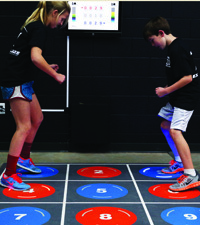 Watch a 1 minute video on the creation of the ExerZone!